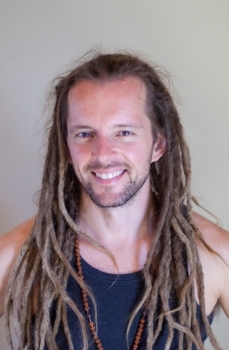 J-P Tamblyn-Sabo is a dedicated yoga practitioner, teacher, teacher of teachers, and the founder of the Ahimsa Yoga method - a style of yoga dedicated to honouring the ancient traditions, while continually refining the physical practice with modern understanding of biomechanics and physiology. J-P's students appreciate his clear, methodical instructions as well as his supportive and empowering teaching style. His skillful infusion of asana with spiritual depth, and his ability to translate challenging philosophical, anatomical or esoteric concepts into accessible and familiar language are key components of his gifted instruction. Two of the keys to being a great teacher are to always grow and stay inspired! To support your ongoing evolution and passion for teaching yoga, this year’s Full-Day Teacher’s Intensive with JP has been redesigned to be both accessible to first-time participants and brand-new for participants from previous years. This year we will be expanding and upgrading our cueing language and teaching vocabulary, exploring tools for building rapport with your yoga students, looking at making classes accessible (and satisfying!) to students of varying levels at the same time, and spending some time refining the art of adjusting. Keep your passion for yoga and teaching high! You’ll have lots of new ideas to bring into your classes after just one day! Arm balances are an exciting, challenging and fun part of an advanced (or advancing) physical yoga practice. Pincha Mayurasana, or "forearm stand" can be one of the safest, strongest, and most sustainable arm balances in this whole family of high-energy inversions. In this workshop we will look at key principles to make arm balances accessible, a few ways to prepare your body for forearm stand, and explore a few different approaches to moving into the pose, including a step-by-step progression that might even lead you to a free-standing arm balance in the centre of the room! Our yoga practice is an opportunity to clear some of the toxicity that we absorb and retain as a result of living in an ever-more physically, energetically, emotionally, and environmentally hazardous world. Yoga is one of our best defences for combatting the stress and disease that can result from this toxic build-up. But the "detox potential" of yoga isn't just a matter of sweating, breathing, and doing twisting poses. Addressing only the physical (or the mental or the emotional) and not the entire ecosystem means that we might be missing the part of ourselves that needs to be cleansed the most! In this session, discover a simple, comprehensive approach to detoxing with yoga on five levels: physical, mental, energetic, behavioural, and emotional. Leave feeling refreshed, lighter, energetic and inspired, and with the tools to continue your detoxification practice in the days, months and years ahead. Have you ever been in a yoga class that felt a bit less like "yoga" and a bit more like a conditioning program for Olympic-level gymnasts, intensity junkies, and aspiring Cirque de Soleil performers? (Me too!) There is definitely value in "challenging one’s edges," but sometimes the greater value is found in "honouring one’s boundaries". My belief is that the Path of Yoga is the journey towards our greatest possible experience of health, wellness, and vitality, and that every yoga practice should move us further along that path (without "detours" / i.e. injuries!). This workshop provides insights and tools to ensure that you are able to support that greater journey in every yoga class you take, and to feel 100% comfortable within the practice that serves you in the moment, whether the exercises offered feel perfectly within your comfort zone, or just a little beyond what feels appropriate on the day, or more for people without actual bones or pain receptors. With the right tools, you can make any class a perfect practice to support your own yoga goals, without asking your body for anything it’s not willing or able or happy to give. In recent years, understanding the role of the connective tissue known as "fascia" is transforming our ability to build healthy flexibility and mobility. It turns out, tight muscles are just one part of the equation! In this class, we will incorporate a range of exercises designed to address restrictions in fascia that actually impede our ability to stretch our muscles effectively, allowing for a safer, more effective practice that also simply feels better. If you want your yoga practice to include the feeling of freedom in your body, free your fascia!